My new website design is finally complete! A big thanks to Jack Brauer & Jesse Speer who did a fantastic job designing and building my new site! Thanks guys! Posted in News on February 13, 2012 February 13, 2012 by Luke. 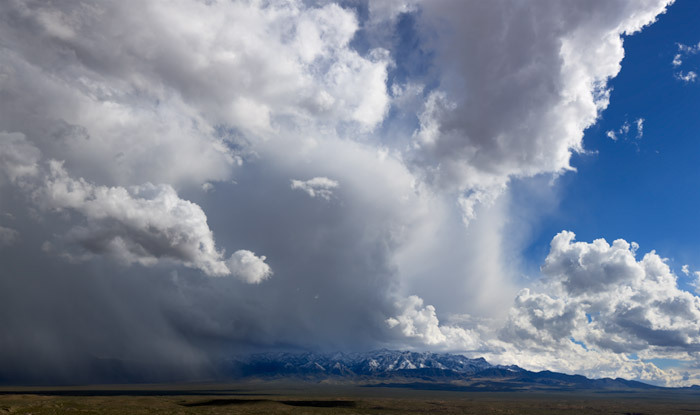 A few images from my Spring 2011 trip to the Southwest. A whirlwind trip covering over 2000 miles on the road, 3 states, 3 National Parks, some backcountry camping, and a lot of bald blue skies! Even though the skies were less than ideal I had a great time showing one of my friends around and scouting some new locations for future visits. 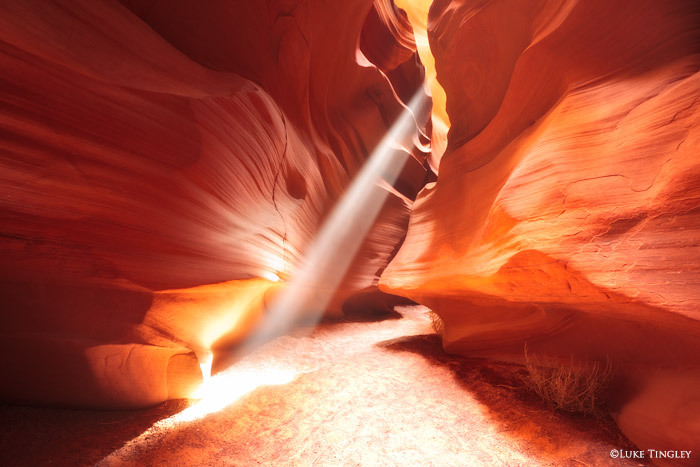 Antelope Canyon is an amazing sight. 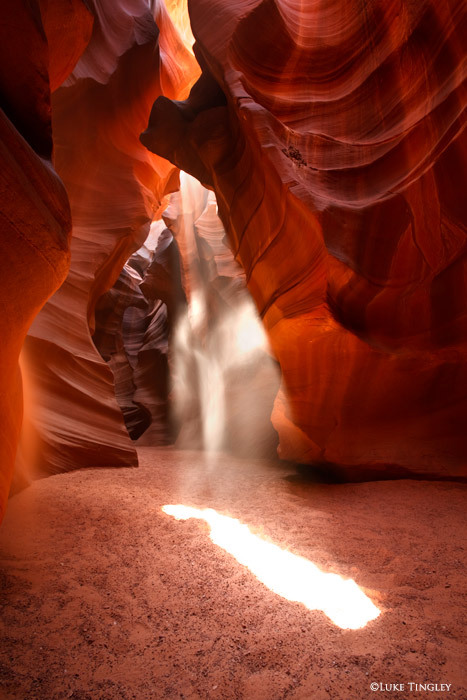 The narrow slot canyons of sandstone are breathtaking to walk through. If you are there at the right time of day, at the right time of year, and in the right place, you will be treated to a spectacular light show as rays of light pierce down into the canyon. The sandstone glows as if it's on fire for just a few minutes as the sun passes directly overhead. We hiked nine miles into the backcountry to some hoodoos I had scouted on a previous trip. We had some awesome clouds and wind, so I was hopeful I’d get the morning shot that had eluded me on my previous attempt. Unfortunately by morning, all the clouds had blown away and the shot I had been planning escaped my grasp. As we were returning to Vegas the dynamic weather I had been looking for all week finally showed up. It continued to taunt me as we left the area to the point where I finally had to get out of the car and take a quick shot! Posted in Trip Reports on February 13, 2012 February 13, 2012 by Luke.